Starting nursing school can be a stressful experience. Nursing school certainly isn’t easy – and it shouldn’t be. The rigorous nature of nursing school is intended to prepare you for the rigorous nature of the career itself. If it were easy, everyone would do it. Don’t let the challenges ahead deter you from achieving your goal of becoming a Registered Nurse. 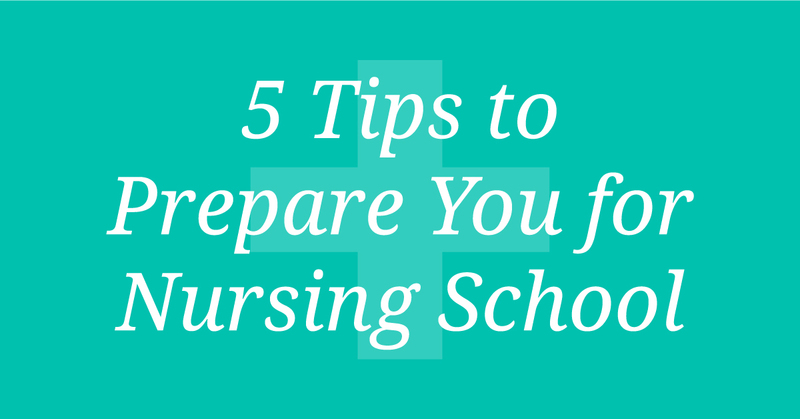 Here are 5 tips that will help prepare you for nursing school. Prep your support network. Nursing school requires the dedication of your time and energy. It’s a more difficult task if you go it alone. Whether it’s a shoulder to lean on, a friend to help you study, or someone to babysit your child while you’re in class, your life will be made much easier if you prepare your support network in advance. At AmeriTech College, we have a dedicated team that will support you as well. Remember, there are people around you who are equally committed to your success. Get to know nurses in the field. Anytime you want to learn a new skill, an important step is to find people who are already doing what you want to learn and pick their brain. Nursing is no exception. If you don’t already know a nurse, ask your friends and family if they know one. You can also contact a local hospital and let them know you are a nursing student who is looking to connect with a nurse for an informal Q&A. Having gone through nursing school themselves, most nurses will be more than willing to share their insight and wisdom. Prepare your questions in advance of your meeting and be courteous of their time. If you feel uncomfortable about reaching out to a hospital, ask us! Remember, AmeriTech College’s nursing program is comprised of working nurses who are committed to training the next generation of great nurses. Use them as a resource! Follow nursing forums and blogs. This is perhaps the easiest and most overlooked step in preparing for nursing school. The internet makes it easy for you to gain knowledge quickly and stay plugged into the nursing community. Look for groups on Facebook, or follow nurses on twitter. Googling “top nursing blogs” is another great way to start. Set your schedule. Nursing school will likely change the schedule you’ve become accustomed to. Prepare yourself in advance by understanding what your new schedule will look like and adjusting your non-school life accordingly. Just because you’re in nursing school doesn’t mean you won’t have time to enjoy the things you love. Be sure to “you” time. Trust us – you’ll need it! Understand the cycle of emotions. Beginning nursing school is equally nerve-racking as it is exciting. Both of these feelings will wear off as you go through the process. Check out our blog on the student chance cycle to understand in advance the flow of emotions you’re likely to experience.